Description: After the fall of France, tens of thousands of Jewish refugees seeking to flee Nazi Europe streamed into Spain from France. JDC set up an office in Barcelona and provided support, housing and emigration assistance to these refugees. JDC also assisted refugees waiting for emigration papers and passage on transatlantic vessels. 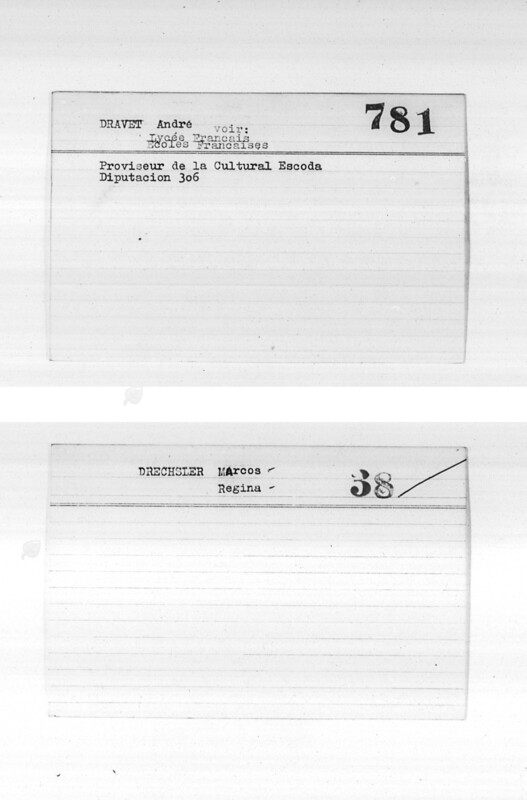 This collection contains index cards from 1943-1945 for 8220 refugees supported by JDC.